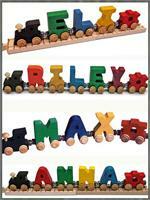 NameTrains™ track and alphabet letters are compatible with Brio® and Thomas the Tank® wooden railway systems. 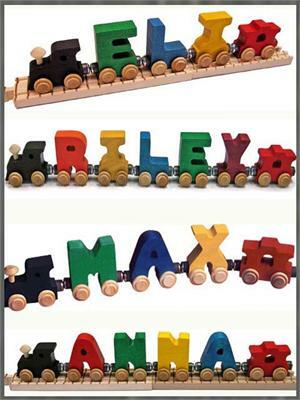 Bright Color NameTrain Letters are crafted from locally sourced and sustainably harvested hard maple. Magnets allow you to attach cars to form names and words. 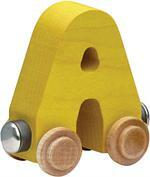 Approximate size 2-1/2" tall and about 2-5/8" long. Warning: Choking Hazard. Small Parts.. Not for children under 3 years. 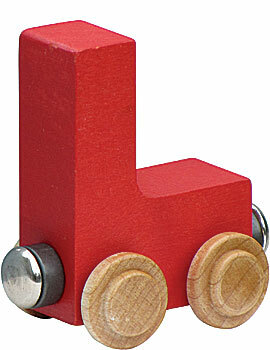 Add an engine and a caboose, sold separately, to make your own Personal Train.